Tree-mallow is a striking, costal biennial growing up to 3m tall. With a spike of large, deep pink flowers with darker pink veins and ivy shaped, velvety leaves it is unlikely to be mistaken for any other native plant. NB Until recently this species was know by the old botanical name of Lavatera arborea. Tree mallow is a tall, native, biennial. Because it is killed by severe frost it is rarely found more than 100 m from the sea (although it grows readily as a garden plant) where it finds protection in the mild micro-climate found there. 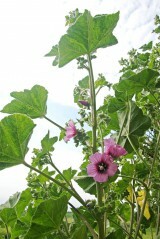 Tree mallow grows best in shallow, nutrient-enriched soils and is particularly associated with sea-bird roosts. It is found around the coast of southern Britain but may have been introduced to many sites and might only be native in the milder west and southwest coasts. 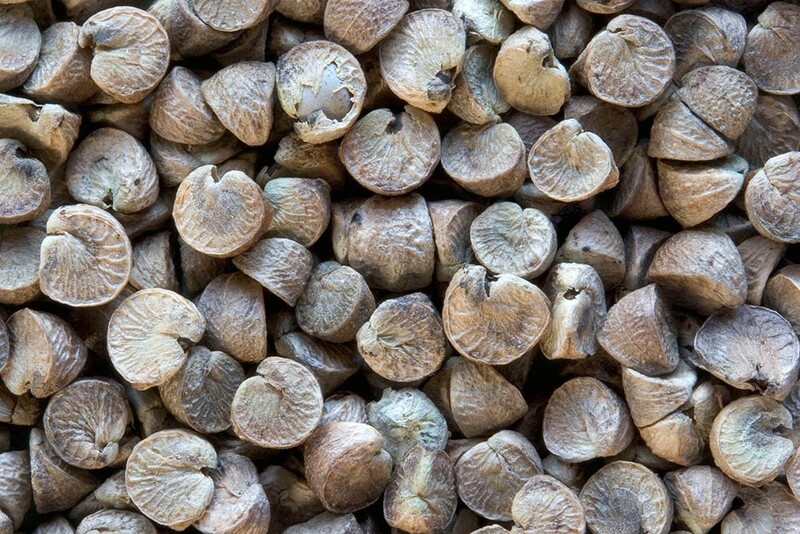 Outside of its natural range it can be an invasive and environmentally damaging plant. For this reason it should not be planted in wild coastal sites without first seeking advice from local experts. The flowers, which bloom throughout June to September, are visited by bees as they offer both nectar and pollen.